Lord Michael Dunham is bored of society, bored of fickle women, but above all that, he is afraid. His father suffered from madness, and Michael is terrified that he will inherit the same affliction. He scrutinizes his every mood swing, his every expression, to see if he can detect any signs that he is developing the symptoms. It blights his life. He has determined that he will never marry, putting a wife through the same that his mother suffered, and he certainly will never have children. The disease will die with him. Although this book is part of a trilogy, each book is a stand-alone story in its own right. Martha Farfield was companion and housekeeper to Lady Dunham. Her life would be complete if it was not for the interference of Lord Dunham's man of business, Charles Anderton. At every opportunity, he undermines her and causes annoyance, Martha cannot control her anger when in his company. Charles Anderton is smitten by Martha Fairfield, well, he was when they first met. He blundered his first encounters with her and now she openly dislikes him. Every time he tries to help, he just creates further problems for them both. He needs to ease the tension but has no idea how. Laura Atkinson is on the run. She was a prostitute for Baron Kersal and knew about his illegal activity. When the Baron's trial collapses and the others involved in the scheme start to go missing, Laura realizes her life is in danger. She seeks out the only man that she has ever trusted, the only man she thinks can keep her safe. Alfred Peters is a Bow Street Officer. He is alone in the world and although not happy with his lot, knows that in his employment, the casualty rate is quite high. He is resigned to keeping himself to himself. There was once one woman...but wishing just means less concentration, which is foolish in the extreme. The four are destined to be thrown together in a way that will turn all of their lives upside down. None will come away unscathed from the encounter. I enjoyed this series although I found this one a little too long. It was easy listening with a great narrator. The story surprised me as something happened to make it less predictable. I really did like the way it finished with a prologue. 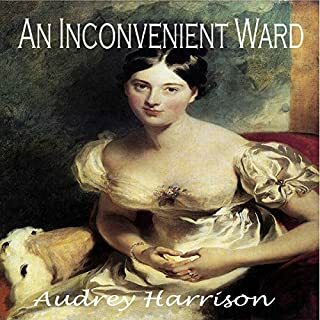 This is the final installment of the Inconvenient Trilogy by Ms. Harrison and it satisfyingly ends the story she was building since the first book. Some secondary storylines and characters from the previous books took front stage in this one, and we are able to read about Martha and Charles as well as about Laura and Alfred, whose relationships already drew the readers’ interest in the trilogy. There is, however, a difference in this book that makes me doubt how exactly to rate it. If the first book had realistic outcomes mixed with fiendish twists and turns typical of a good romance, and the second book had a more lively and funny tone to it with underlying darkness beneath, this third book has a dose of realism and a dose of darkness that I can’t decide if it’s cliché or just real, but made me reel. I will not enter into details of this or I would spoil the story, but I have to say it had an unexpected twist that I didn’t see coming because I felt it diverges from the lighthearted genre of the trilogy. The characters, as always, are rich and interesting, most of the plot is composed of misunderstandings between them or their inability to see or accept the other as he or she is, and with a good writing it turned out good and entertaining. As an end of a trilogy, I would certainly read it and recommend it after the first two books. 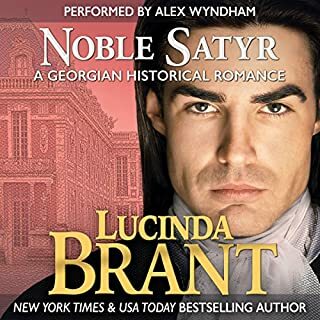 I was given a copy of the audiobook to review and I would recommend this trilogy to everyone who enjoys regency novels. The narration is outstanding with an excellent range of voice and tone, and I would like to thank Elizabeth Klett for narrating this trilogy and making it even more enjoyable. There's good and bad, love and loss, justice and tragedy. Another well-written installment wraps up this very good series. I do wish there would've been a bit more detail as to what specifically happened to the bad guys, but that is my only complaint. Excellent narration pairs well with the writing. Great Epilogue. Don't miss this trilogy. I received this audiobook in exchange for an unbiased review. The number of stars is based on where I believe this audiobook rates with other audiobooks of the same type, length and general feel-- not where it rates in comparison to all audiobooks of all time. Elizabeth Klett again did an excellent job with bringing the story to life. I really enjoyed the whole series but in my opinion this was the best book in the series. Spoilers: I sobbed for at least an hour when the assailant caught up with Laura and stabbed her which ultimately caused her death and left her baby motherless. I was disappointed that nothing else was said about the assassin. I wanted to know if he was caught or not. I was also curious to know if he was caught, if the capture resulted in the Barron being arrested again for instigating the murders. I will miss this series!!! I listened to book two and book three in a single day. I wanted, needed, this story to continue. I'm seriously sad that it's over. This last listen zeroed in on two new couples while still mixing in the pairings from book one and book two. Score!!! The narration was stellar, the story a really good one (except the ending) and the epilogue tied all the loose ends. 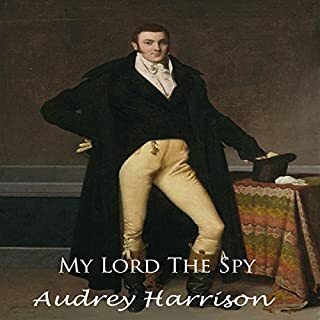 What could Audrey Harrison have done to make this a more enjoyable book for you? Could you see An Inconvenient Companion being made into a movie or a TV series? Who should the stars be? Harrison is not a true romance author. Romance and a tragedy. Great story! This is the final installment to a great romance series. This particular story fits with the trilogy but took an unexpected turn. The story has both a happy and sad ending. I think Audrey Harrison has a great way of telling stories and I look forward to future books. 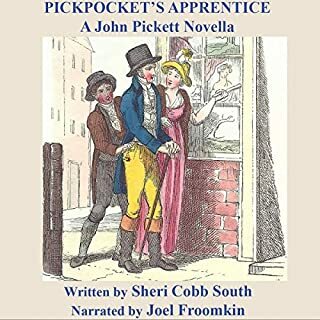 Elizabeth Klett continues with the series narration and as always does an excellent job at bringing the characters to life with her ability to give each their own unique voice. This makes the audiobook easier to follow and a pleasure to listen to. Audiobook - narration, Elizabeth Klett, fabulous again. She narrates the entire series and does a wonderful job! This book? Gah! This book. 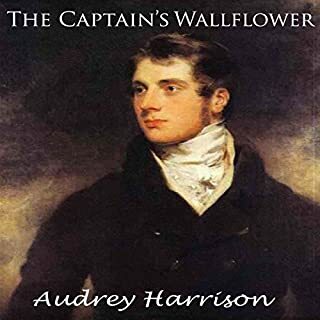 We have the stories of secondary characters from the previous books in the series, Martha and Charles who are the primary help for Lord and Lady Dunham and Laura and Alfred who helped Steven Halkyn and Charlotte Webster come together. The concepts are similar to the previous two with one gigantic difference which I cannot share. But I will say that one difference between this book and the prior two is that it broke out my ugly cry. When it started looking like it was going somewhere I couldn't believe it would go, I relaxed and told myself, nah...she won't go there. Heartbreaking, but hopeful, this book completed the trilogy in a lovely way. I'm kinda book hang-over-ing and already missing these characters. Would you listen to An Inconvenient Companion again? Why? If I had nothing to listen to and maybe in a few years when I have forgotten most of it , yes. I have way too many audio books on my "to read" list, so do not re-listen to audio books. Alfred was just too stubborn to believe he could possibly love a lady of the evening, much less sire Laura's baby. It is always so cute to witness such a man grapple with his feelings. It was so sad that it took tragedy for him to see clearly. Probably Martha. She seemed to be the strongest character of the four. I loved Elizabeth's voice for her, brought out her strength. Yes, and I did. Enjoyed it very much, just couldn't wait to get to the end, bittersweet as it was. What other book might you compare An Inconvenient Companion to and why? It reminds me of a short story that Jane Austen may have written. I can't say any really stand out in my memory from her performance but i really liked Charles. Him botching his first meeting with Martha and then what followed can for sure be empathized with by many. It made me cry during one part in particular, but i was glad that a certain person stepped up to be the man everyone thought he was. If you like your books to be predictable (which is good if you want an assured easy listen) then this will suit you. It was interesting to see the development of the plot with the characters from previous books, but it did become a bit formulaic. Spoiler alert - for those of you who like a 100% happy ending for all characters you will be disappointed with the ending for one of the couples. 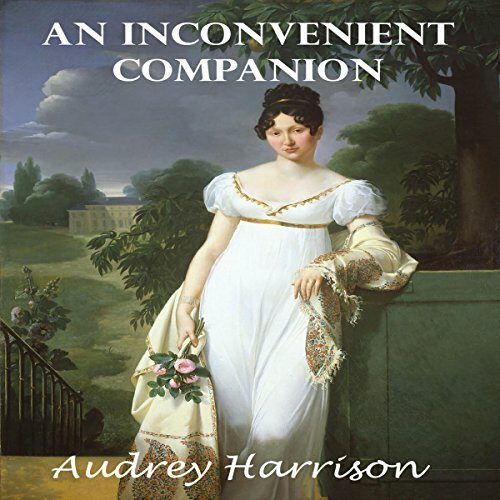 Audrey Harrison has delivers a fantastic regency romance that involves characters other than the aristocracy. She has created realistic characters one can relate to despite the historical backdrop. Her attention to historical detail adds texture. Elizabeth Klett has a wonderful narrative style that matches this book perfectly. Overall enjoyable!